MOTORISTS and commuters plying the south of Cebu are expected to brace for heavy traffic. This, after the Department of Public Works and Highways (DPWH) 7 closed the northbound side of the old Mananga Bridge in Barangay Tabunok, Talisay City Wednesday, Nov. 14, to make way for preventive maintenance works. 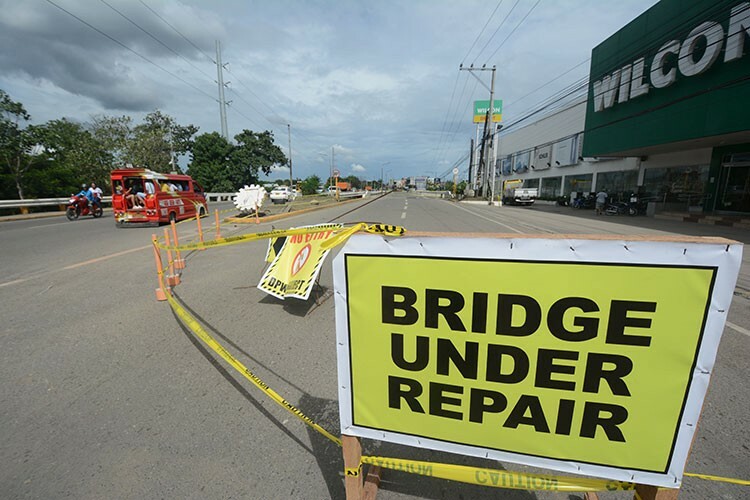 But local officials and even commuters claimed that the DPWH and the project’s winning contractor, Zion Construction, didn’t inform them since they would implement a road closure at the bridge. Jonathan Tumulak, Cebu Provincial Traffic Management focal person, urged the DPWH to cooperate with them especially that the project is set to last for at least two months and continue even after Christmas. Joselito Sayson, DPWH Construction Division chief, told SunStar Cebu that the closure of the bridge’s northbound lane is for the immediate retrofitting and installation of spans or beams. Sayson said they also need to replace the bridge’s girders as they are starting to sag and might fall off if left unattended. 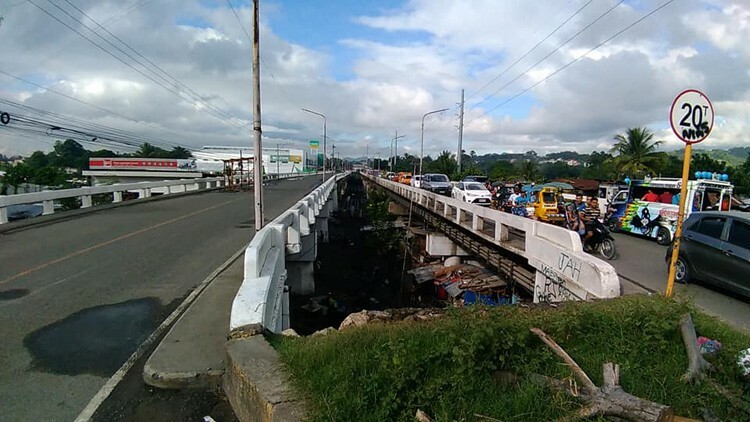 The project, which costs P44.3 million, was supposed to be implemented last year, but some factors like the presence of informal settlers below the bridge prevented the DPWH from proceeding with it, Sayson added. In a separate interview, Tumulak said it was only on Wednesday, Nov. 14, that he learned that the DPWH had implemented road closures. Even officials from Talisay City admitted they were also caught off-guard by the road closures. Lawyer Rudelyn Navarro, Talisay City administrator, told SunStar Cebu that she was initially told by the contractor that they were to conduct the bridge repairs just before the city’s annual fiesta last month. But city officials requested the contractor to hold off their work until after the fiesta. She was, however, surprised that the contractor proceeded without coordinating with them first. 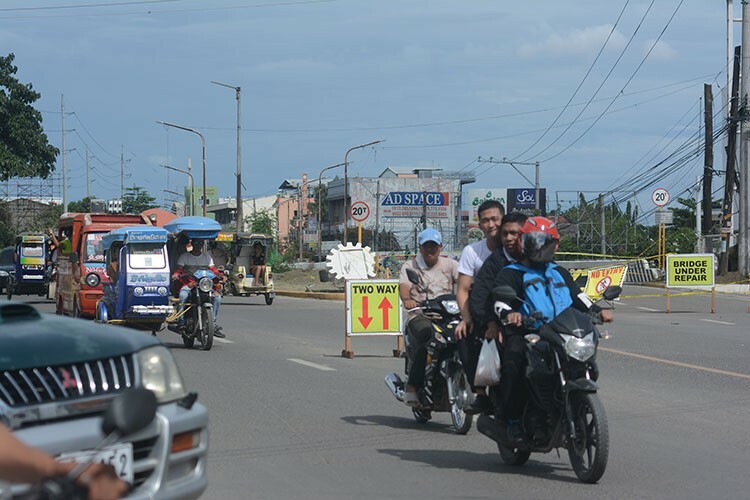 City officials and Tumulak will be meeting with the DPWH and the contractor in Talisay City Thursday, Nov. 15, to discuss possible traffic schemes to prevent gridlocks while road maintenance works are ongoing. Tumulak said he is worried, especially after he was told by the DPWH that the road works would continue even after Christmas. 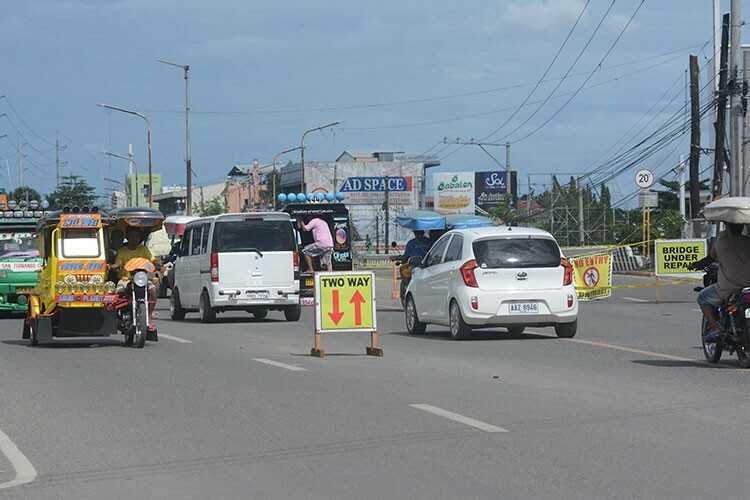 Meanwhile, the Cebu City Transportation Office (CCTO) is asking motorists to extend their patience as heavy traffic condition will still be felt along the Mambaling Access Road of the South Road Properties (SRP) due to the ongoing road concreting project in the area. CCTO Operations Chief Francisco Ouano said that one lane of the Mambaling Access Road has been converted into two lanes to cater to the volume of vehicles going to the south. The road concreting along Mambaling Access Road is a project funded by the Department of Public Works and Highways 7. “Since they already completed the concreting of the other lane, we decided to make it two-way to accommodate all vehicles. We asked the public to understand the inconvenience because without the project, that road is full of potholes,” Ouano said. Ouano said the road-concreting project is expected to be completed by the first week of December since they already asked the contractor to hasten the works. “We can assure that once the project will be completed, it will immediately be accessible to motorists,” he said.